It should be noted that some pets are not mentioned, such as Crusher, Left Shark and a few others. However, these pets are expected to make an appearance in the upcoming patch. New in Blizzard's 6.2 Pet Preview are the Crimsonwing Moth and the Sapphire Firefly. According to Blizzard these two wild pets will have a unique spawn pattern, similar to that of the Unborn Val'kyr. The location of these pets and how often they will appear is still unknown. 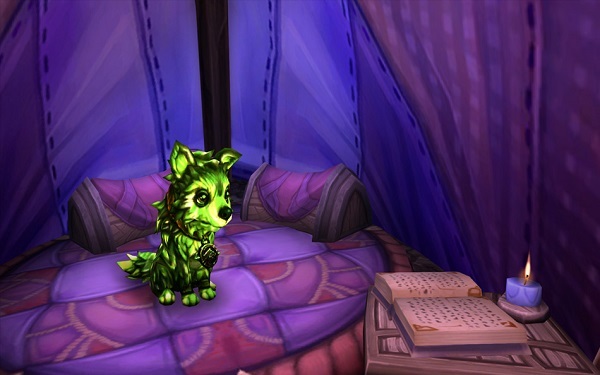 Currently the Crimsonwing Moth and Sapphire Firefly have yet to be added to the Pet Journal on the PTR, but we will announce any updates so stay tuned for more information. Looks like this one will wait til I have flying so I can camp spawn points from above. We're talking as rare as Unborn Valkyr in a zone where you can't fly?